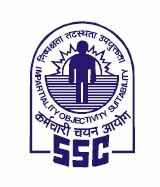 Staff Selection Commission (SSC) has published List Of The Candidates Qualified In Paper-I & Appearing In Paper-II for Junior Hindi Translator, Junior Translator, Senior Hindi Translator and Hindi Pradhyapak Examination - 2018. This exam was held on 13.01.2019 at various centres. A total number of 15,573 candidates appeared in this examination. After applying the cut off fixed by the Commission in Paper-I, 2041 candidates have qualified in the said examination for appearing in Paper-II. Check below for more details.